The 5 best password managers of 2019 | LastPass vs Dashlane etc. With the average internet user creating 130 accounts and data breach at an all time high, you want to know you’ve got one of the best password managers supporting you online. LastPass and Dashlane both make the cut for the best password managers. They’re two of the most popular choices around, and great for families or small businesses. Dashlane tops most charts (for ease of use, time-saving features, support etc.) and is our best password manager overall, but if you’re on a tight budget, LastPass takes the crown for value for money, and is the best free password manager, hands down. In our independent study of the seven leading password managers in the UK, we also discovered some alternative gems that might be perfect for you. Don’t forget Sticky Password (you control what happens with your data), LogMeOnce (no more passwords, log in with your face), and Password Boss (great for keeping things simple). Now let’s cut to the chase. Most password managers have more in common than differences, so if you’re just after a safe place to stash all your passwords, you can’t go wrong with LastPass or Dashlane, or any of these top password solutions. But if you like the idea of updating many passwords in one go, syncing your data across your devices, or sharing your account logins with family and teammates, you’ll want to read on to check you’re getting the best password manager for your needs. Plus, give any of them a go yourself with a free trial. 01 | Which are the best password managers? 02 | Where can I get a free trial? Our extensive testing helped uncover which are the best password managers for what matters most to people and businesses – and which ones are more hassle than they’re worth. Many of us are guilty of picking our dog’s name or birthday as passwords. But if you’re going to avoid getting hacked, Dashlane is the quickest and simplest way of getting all your passwords in order. And if you’re ever hit by a data breach, the multi-password update function will save the day. Dashlane isn’t as cheap as some rivals, but for only around £1 more a month you can save bags of time and hassle. With Dashlane Free, you get much the same as Dashlane Premium, but (as with most password managers) there’s one big downside: you only get it on one device. That’s a problem because if you spill coffee on your laptop, you lose the lot. We think that makes Dashlane Premium worth the peace of mind for less than the price of the coffee (around £2.50 a month). There’s also Dashlane Business for a pinch more (around £3 a month) which makes sharing certain logins with your coworkers easy, plus it comes with extra security thanks to two-factor authorisation. Password Generator – Picking a secure password is harder than it sounds, so Dashlane will do it for you (and remember it, so you don’t have to). Dark web monitoring – Online identity threat is growing each year. Dashlane keeps an eye out for any leaked personal data, so you can act fast. Secure sharing – It’s easy to share passwords, without even revealing what they are – and you can revoke access anytime. Dashlane verdict: Is it for me? Dashlane is the most convenient password manager we tested, and top choice for small businesses. It has the most user-friendly platform, and its features really are second to none. Tools like the password strength analysis, multi-password update, and auto-receipt storing are big time-savers – and life-savers if you’re ever hacked (or even just for those important online security spring cleans). You’ve probably already heard of LastPass – it’s one of the most popular password managers for ease of use and flexibility. But did you know LastPass also just happens to be one of the cheapest password management tools out there? LastPass is one of the most affordable password managers you’ll come across, and even the free version is generous on features. LastPass Free comes with the time-saving browser add-on and even lets you sync your passwords across your devices (you’ll have to pay for this perk with most other password managers). So if you’re looking for a free password manager, we think LastPass is well worth considering. Though for under £2 a month, LastPass Premium gives you full access to the full shebang: password sharing, more storage, VIP tech support etc. It’s one of the cheapest paid-for plans around, and we think for small businesses the secure sharing feature will be a game-changer. Flexible data storage – LastPass makes it easy to save all sorts of private data (passwords, payment details, licence codes and any secure notes). Password Autofill – LastPass will remember your passwords, so you only need to fill it in the first time you visit a new site – the browser plug-in will take care of the rest. Emergency Access – What happens if you need someone to get in? You can nominate a trusted contact and time delay as a security back-up. LastPass verdict: Is it for me? LastPass is an excellent password manager – and the most affordable one around. It combines all the tools you need to keep your online accounts safe and easy to access – and the browser extension helps it support you seamlessly. If you’re big on value for money, LastPass will be for you. Sticky Password keeps you in control: store your passwords online or offline; pay nothing, a little each month or save money with a lifetime licence. And with the same leading AES-256 encryption as the US military, you know your data is in good hands, whatever you choose. Sticky Password’s monthly price plans are some of the most affordable. The Premium Plan is just £1.90 ($2.50) a month, and comes with an added feel-good bonus (supporting the Save the Manatee Club). There’s a free version with all the must-have tools, but you can’t sync between devices. You’ll find this with almost all password managers (except LastPass), and we think it’s a deal-breaker because one day you’re sure to lose everything. But if budget is your priority, Sticky Password’s unique Lifetime subscription is by far the cheapest password manager. At just £114 ($149.99) for life, it pays for itself after just five years (and you’re bound to still be using passwords then). Extra flexible syncing – You decide whether to store your encrypted information online or offline (there’s even a USB-only option). Auto-login – The browser add-on means you can stay signed in, with seamless access to all your logins. Password analysis – Easily run a check on all your passwords, and fish out any weaklings. Sticky Password verdict: Is it for me? Sticky Password was made for savvy people who like knowing where their data is, and want to store it on their terms. The Lifetime plan is hard to beat on price, and it’s always good knowing you can wipe all your private information if you ever want out. 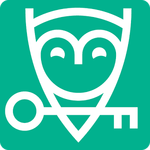 LogMeOnce is the first passwordless password manager (we log in in with our faces). But don’t worry – such intuitive features don’t come at a premium. Just like LastPass, LogMeOnce is absolutely free (even on many devices). The free edition of LogMeOnce is more generous than most. Like LastPass, you can sync your account on multiple devices (we think it’s just too risky not having this perk), which makes LastPass and LogMeOnce the two best free password managers. The paid-for version is hard-to-beat on price at just 80p a month, and gets you even more bang for your buck, including more than five secure shares, quick access to key features, and over 1MB storage. PhotoLogin – Logging in with a selfie offers an extra security boost, not to mention convenience. Go passwordless – When you open your account, you can actually opt to go password-free, or create a master password if you prefer. Password Calculator – It can be tough thinking up strong passwords, so the password calculator does this for you, and at 15-characters, it’ll be one of the hardest to crack. LogMeOnce verdict: Is it for me? LogMeOnce promises more features than any other password manager, and even the LogMeOnce free membership lets you sync passwords between devices. If you’d like a fuss-free password manager, LastPass has everything you need. But if you like the sound of bonus features like logging in using a selfie rather than a master password, LogMeOnce has you covered. Password Boss does everything you’d expect of a top-notch password manager. It may not be as well known as LastPass or Dashlane, but it’s got all the features to earn it a spot in our five best password managers. As with nearly all password managers, Password Boss offers a free single-device edition. By now, you’re probably aware we don’t think that’s so useful, but if you’re keen yet not ready to commit just yet, you might like to try it out with the 30-day free trial. The Premium edition of Password Boss is really reasonably priced at just £1.90 a month – that’s pretty average, and a fraction less than Dashlane (around £2.50 a month). What’s more, charities, schools and churches can get the paid-for version for free too. Digital Wallet – As well as the common autofill feature for passwords and forms, you can save all your credit card and bank account details to your account for safe and easy access. Secure Browser – Password Boss goes above and beyond decent password management, a secure DNS service protects you when you’re banking or shopping online. Touch ID – If you think you’ll get tired of typing passwords, you can get full access to your Password Boss app on your Android or iOS device with easy fingerprint scanning. Password Boss verdict: Is it for me? Password Boss is a well-designed, intuitive password manager that covers all the important password needs, without over-complicating things. If that sounds like what you’re after, they’re offering a generous 30-day free trial, so you can try it for yourself. Or just take another look at our list of the five best password managers. 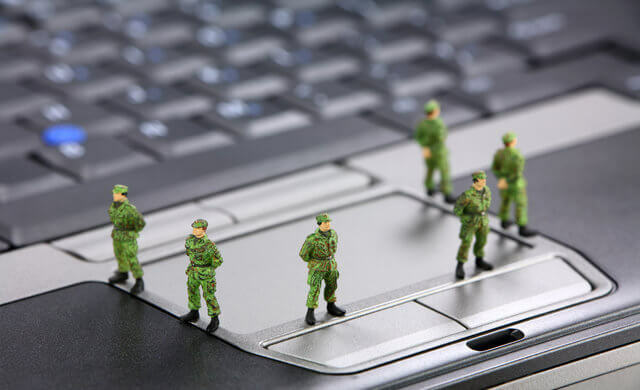 Whether you’re looking for yourself, or upping the security at your small business, you’re in good hands with any of the password management providers below. If you’ve been letting things slip with your password security, don’t feel bad, we’ve all been there. But if you’re ready to get your ducks in a row at last, we’ve tracked down the best password managers for keeping all your data extra safe online. In a nutshell, Dashlane is the best password manager for convenience (it has the most intuitive design and time-saving features). But for those on a budget, LastPass is the best free password manager and has some of the cheapest paid-for plans you’ll find too. If you’ve got more niche tastes, Sticky Password is the go-to for keeping a tight lead on all your personal information, LogMeOnce is for people who can’t stand passwords (you log in with your face), and Password Boss is a trusty option for keeping things simple.